IP and email throttling is part of what makes email marketing, particularly high-volume email marketing, so “fun” (nervous laughter). Email throttling or “deferrals” are what ISPs use to prevent inbox chaos (i.e spam). The various ISPs (AOL, Gmail etc.) employ different metrics for deciding rate limits and times. Depending on the provider, the amount and the time of day you send, you’ll get different results. 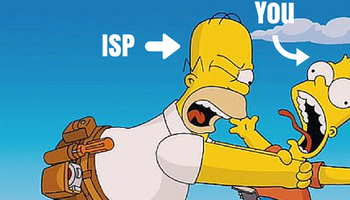 ESPs and ISPs exert different pressures. Major ISPs are accused of throttling, all the time. But we’re looking at it from the sender’s perspective. Most email throttling limits are temporary and situation dependent. It’s either a connection error or a recipient’s email volume is too high so delivery does eventually happen, it’s just delayed. A 400 class error, as in “SMTP 425 error” can generally be resolved within a of couple days -at most. ESPs and ISPs don’t publish their rate limits, so it’s a process of trial and error to find out. The question isn’t, “Is your ISP throttling your connection?” or “How can I tell if my Internet is being throttled by my ISP?” It’s why is the ISP throttling your messages? And when should you, the mailer, be email throttling? -Your confused subscriber has blemished your reputation by ticking the “this is spam” box. This won’t trigger a full scale block but puts the rest of your mailings on notice. The ISP will start monitoring, more closely, how other subscribers rate your messages. Alas! Here’s the cool thing about sending mail using a mailing platform like VoloMP. Our software is clever. Once it sees an ISP getting an attitude about receiving messages from you (blocking port 25 or what have you), VoloMP plays it cool, backing-off in case the ISP is getting cold feet about committing to your IP or IPs or isn’t impressed by your email domain reputation. Our software, in a matter of seconds, sees the issue and THROTTLES THE IP (an approximate illustration available here), halting the deployment to that inbox or that ISP depending on the error. This both protects your reputation with that ISP and that of your (vitally important) IP(s). YOU are the one doing the email throttling. VoloMP’s IP throttling tool periodically checks back to see if the coast is clear; deciphering if it’s safe to attempt delivery or not. If it’s never safe, that’s unfortunate but, at least you still have your IPs intact. Without this back-off method you could lose your whole mailing business, just to IP burn-out. It’s a minor, but a critical, part of the whole deliverablility landscape. IP throttling has two main benefits, it extends the life of your IPs and provides cost-efficient list intel. Over time, IP throttling allows you to discover which IPs do better with what lists and when. And you get to find this out without destroying your IP reputation. Plus, you hone in on what list cleaning methods work best, for which lists. 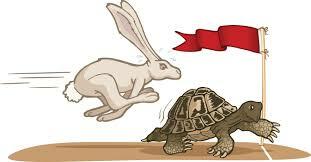 You, of course, already know that you have to build-up sending volume slowly –all email throttling aside. The warm-up period is for the ISP(s) and the IPs you’re mailing off of. It generally takes at least 30 days to properly (see: cautiously) introduce yourself to an ISP or to build up a strong reputation for your IP blocks. Also use this time to watch for any user engagement patterns in terms of best deployment times for what campaigns on which lists. Ultimately if you have good, clean lists and you’re mailing off decent IPs, you and the ISPs should get along fine. But as a high-volume mailer you have to be hyper-vigilant. -Segment your lists as much as ESPs and ISPs (and your sanity) will allow. So hopefully by now, you know the drill. It’s not about bypassing ISP throttling. It’s about Keeping your lists clean, your IPs warmed and learning from your mistakes. As long as you stay consistent, you’ll build up a good reputation with the various ESPs and ISPs. This is a task for which you should be richly rewarded.